The body of an 82-year-old woman was found floating in the waters of a canal along Pang Sua Park Connector on Wednesday morning (Sep 26). Stomper Heng Joon alerted Stomp to the incident and shared photos taken by his friend who stays near the canal in Choa Chu Kang. Heng Joon said that his friend was looking out of his window at about 7am when he noticed several people gathered by the side of the canal. That was when he spotted the floating body. Soon after, he saw police and Singapore Civil Defence Force (SCDF) officers arriving at the scene to retrieve the body. 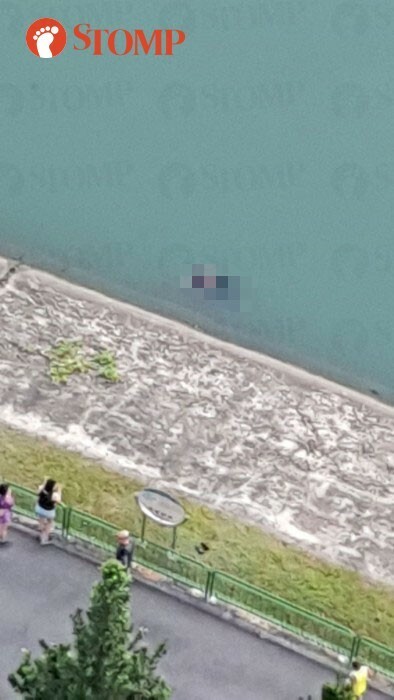 In response to Stomp media queries, the police said they were alerted at 6.54am to a body found floating at the canal near Block 690B Choa Chu Kang Crescent. The SCDF told Stomp they were alerted at 6.55am. 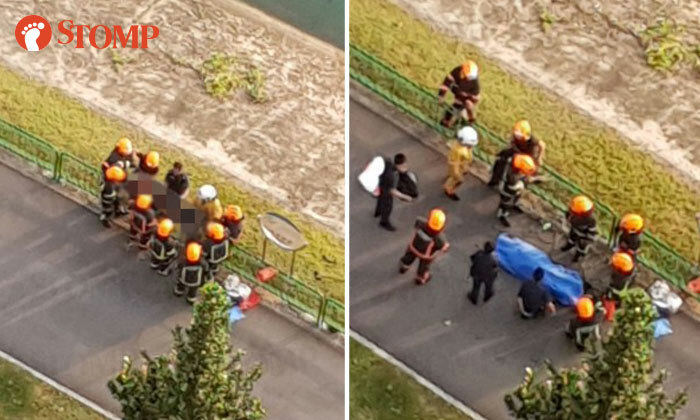 The body of an 82-year-old woman was manually retrieved by SCDF. She was pronounced dead by paramedics at the scene at about 7.45am.